What is a concrete house? ICFs Insulating Concrete forms… a popular new building product are used to make the walls of houses and other structures. 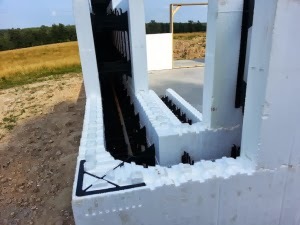 ICF systems consist of hollow foam blocks that a crew stacks and fills with concrete on site. The foam remains as part of the structure. 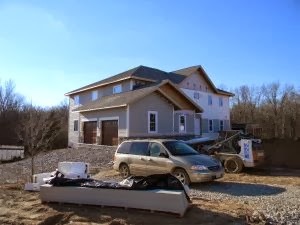 ICF homes are superior to conventional wood frame construction in many key ways: they’re more energy efficient, more durable, stronger, more comfortable in hot and cold weather, quieter and more resistant to high winds, storms, floods and fire. However, concrete houses can have the same shapes and floor plans, windows, doors and finishes inside and out as traditional houses – unless you decide to use other materials.